Download PDF file of "Raqqa, Mosul, and the Long War"
It is natural for most reporting and military analysis to focus on every major development in the daily fighting against ISIS, but the fight to liberate Mosul and Raqqa is only one part of a much longer and more complicated struggle that may well go on for years. While some in the White House staff do talk of "victory" in Mosul—and even Raqqa—before President Obama leaves office, virtually no one actually involved in shaping U.S. and Iraqi strategy believes this is possible. The main body of ISIS forces in Mosul may be defeated, but this will only be a prelude to what will be a different and much longer fight. Senior U.S. officers and officials have warned publicly for months that clearing Mosul is likely to be followed by a long period of fighting with elements of ISIS that have dispersed into the Iraqi countryside, hidden in the city, and/or stage out of Syria. They have made it clear that unless ISIS actually collapses, Iraqi security forces are going to have to secure the city over a long period of time, and will have to do so at a time when Iraq will be seeking to return internally displaced persons (IDPs) to Mosul and other cities and villages in western Iraq, and to rebuild these cities and villages. U.S. officials have warned that some ISIS fighters may disperse to other countries and carry out acts of terrorism, but that other ISIS fighters will try to attack targets throughout Iraq—and that such attacks are already underway. It is equally clear that the fight against ISIS in Mosul and Iraq cannot be separated from the fight against ISIS in Raqqa and Syria. The long border between Syria and Iraq is almost impossible to secure against infiltrators, and there are many routes that are relatively easy to use to smuggle in arms and even heavy weapons. The greater the freedom ISIS has in operating out of Syria, the greater the challenge to liberating Mosul and the rest of Iraq, as well as to any effort to create a Syrian rebel presence that will not be tied to other extremist movements, and that can check or contain the pro-Assad forces. The wave of protests staged in the wake of Subedar Ram Kishen’s suicide over OROP arrears, is a sordid example of shocking opportunism, seldom witnessed in our post independence history. It conveys the political classes’ disdain towards the Indian Army. The smug, unapologetic smile playing on the lips of the inheritor of Congress mantle, on his way to the detention centre, says it all. What kind of message are these politicians sending to Pakistan, by questioning the veracity of recent surgical strike or casting aspersions on soldiers’ pride and honour, just as their fellow travellers in the JNU, invoking freedom of expression not long ago, vowed to dismember India. Do they realize they are playing straight into the hands of Islamabad, bent on inflicting ever greater damage on the idea of India and succeeding beyond expectations? 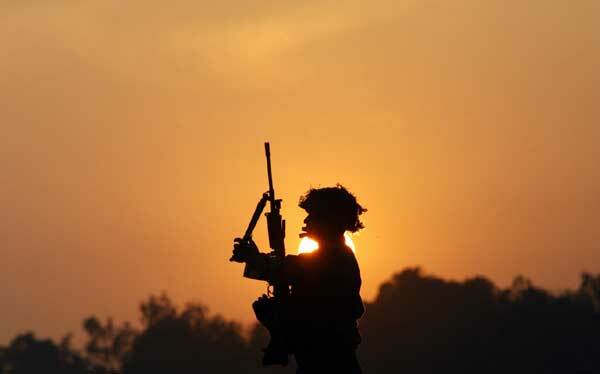 The Indian Army, which Lt Gen BS Jaswal pertinently described as the “last bastion” of national integrity, is under multiple attacks, the victim of the opposition’s hostility which is subverting its morale, in the do-or- die battle against a brutal enemy. A craven policy of passivity followed by successive governments has only emboldened pro-Pakistani elements into acts of greater defiance and ruthlessness, in spite of one-off surgical strike and retaliatory firing. Over the next few years, the Defense Advanced Research Projects Agency (DARPA) plans to demonstrate two air-launched hypersonic weapons (HSW) concepts: the Turbo Boost Glide and the Hypersonic Air-Breathing WeaponsConcept. These systems, though not weapons themselves, should generate a great deal of information on the operating conditions for weapon-sized air vehicles in hypersonic flight (Mach 5 to 10) at high altitudes, and, along with other government-funded research efforts, could pave the way for a weapons program in the next decade. Other countries are also developing HSWs. Russia is developing the Zircon, a ship-launched hypersonic anti-ship cruise missile (ASCM) reportedly derived in part from theBrahmos, a supersonic ASCM developed by Russia and India. It is also developing a ballistic missile-launched system with a hypersonic glide vehicle. Russia and China are developing ballistic missile-launched HSWs. Russia recently launched a hypersonic glide vehicle on an SS-19 intercontinental ballistic missile. China has tested the DF-ZF (formerly the WU-14), a hypersonic glide vehicle that could be launched by ballistic missiles of various sizes, seven times since 2014. We don’t know who they are, or what their mission is. We only know that there are thousands of them out there, pretending to be us. They may be at home, or in special offices, or sitting beside you on the train. They use social media, and write blogs and comments. Some of them may visit the bottom of this article. You can hire your own troll army if you have the cash. In 2011 the PR firm Bell Pottinger told undercover journalists that they could “create and maintain third-party blogs”, and spruce up Wikipedia profiles and Google search rankings. Indeed marketing has a rich history of so-called “astroturfing”, which is laying down fake grassroots. Take Forest, “the voice and friend of the smoker”, which at least admits in nearly invisible small print that it is paid for by the tobacco industry. Now, however, manipulating social media has become part of the business of government. It may yet influence how governments are formed. Recent reports suggest that many of Donald Trump’s most fervent online supporters are not themselves Americans, but Russians being paid by their government to help him win. One told Samantha Bee that she pretends to be a housewife from Nebraska. Why she would confess it now is unexplained, but when you look around it begins to feel like everybody does it. It’s just that no two countries’ methods are the same. * Time to Go 'Huge'? What Will Trump’s Defense Policy in Asia Be? What will President-elect Donald Trump’s defense policy in Asia look like? The short answer is: We simply don’t know. Should he indeed embrace an isolationist stance of non-involvement in Asian conflicts and non-entanglement in Asian affairs, we may see an increase in regional tensions in the near future fueled by South Korean and Japanese nuclear armament, Chinese militarization of the South and East China Seas, a deteriorating security situation in Afghanistan, the possible collapse of Pakistan, and the continuous spread of Islamic extremism in the region, to name a few. The more likely course of U.S. defense policy in Asia under President Trump, however, will be a variation of the old dictum of “peace through strength,” predicated upon a buildup of U.S. military power in the region, perhaps based on some variant of the of the so-called concept of offshore balancing, i.e. the use of regional allies to manage the rise of great powers, while relying on a large (offshore) U.S. naval presence in the Asia-Pacific region to deter agression. (It should be noted, though, that most political scientists think that Asian regional powers will not be able to manage China’s rise in the region without substantial U.S. backing.) Where is this idea coming from? Two of Donald Trump’s policy advisers (one of whom was an aide to the chairman of the U.S. House of Representatives Armed Services Seapower and Projection Forces Subcommittee Randy Forbes) laid out this case in a Foreign Policy article this week, albeit without going into many details. Nevertheless, one thing appears to be clear: The pivot of Donald Trump’s U.S. defense policy in Asia will be the U.S. Navy. “The U.S. Navy is perhaps the greatest source of regional stability in Asia,” the authors write. In the article, Trump’s advisers advocate for a massive U.S. naval buildup in the region. (Randy Forbes, who lost the primary race to retain his congressional seat earler this year, has been an avid supporter of U.S. naval buildup and modernization to check Chinese ambitions. Could he be a canidate for U.S. secretary of the navy? )Enjoying this article? Click here to subscribe for full access. Just $5 a month. On Inauguration Day 2017, Donald Trump will inherit Barack Obama’s “pen and phone” inside the Oval Office. Within the first day, by using the power of executive authority, he can begin to reshape U.S. foreign policy even without securing support from within the Congress for these actions, by following the path that his predecessors Barack Obama and George W. Bush have already laid out. • The United States ratified the Paris climate-change accord as an executive agreement, with President Obama committing the United States to this agreement by virtue of his power to conclude agreements with other states and utilizing preexisting executive-branch authorities to direct the federal government to take regulatory steps to enforce its provisions. With the stroke of a pen, a President Trump can unsign the agreement and instruct the various agencies of the executive branch not to enforce its provisions. • To some extent, the horse has left the barn on the Iran nuclear agreement, because its core was the U.S. vote in the United Nations Security Council to lift the binding international sanctions against the Islamic Republic. The United States cannot unilaterally reimpose those sanctions, unless it can bring credible evidence to the UN Security Council that Iran is in violation of its obligations under the accord. Moreover, Iranian funds frozen in U.S. financial institutions have now been released. 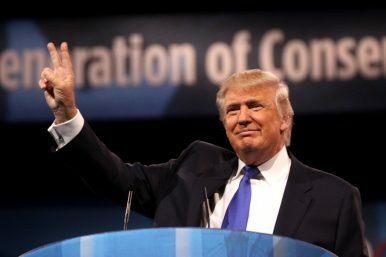 However, using the broad discretionary authority for the president to impose U.S. sanctions against countries and third parties, a President Trump would have the ability to use economic tools to attempt to renegotiate sections of the deal, or to push for separate agreements that would deal with missiles or Iran’s support for its proxies in other parts of the Middle East. In an unexpected move, India’s Prime Minister Narendra Modi announced in a special address on Tuesday evening that Rs 500 and Rs 1,000 notes will be demonetized. His public address has galvanized panic across the country. The move is meant to weed out rampant corruption, black money, false currency, and in turn help tackle broader issues fueled by these activities, such as poverty and terrorism. Modi pointed out in his address that fake notes from outside of India were being used to fuel terrorism activity within the country. The Rs 500 and Rs 1,000 notes will not be legal tender as of midnight on November 9. 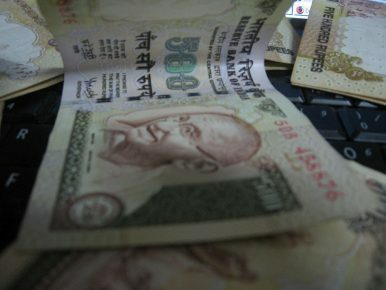 New Rs 500 and Rs 2,000 denomination notes will be released and circulated soon. Other currency notes such as Rs 100, Rs 50, Rs 20, and Rs 10 and coins will continue to be a part of the country’s financial system. Moreover, all cashless transactions will continue as usual. ATMs across India are expected not to work on November 9 and in some areas on November 10. All banks will be closed for public work on November 9, in order to tackle the influx of people wanting to deposit their notes. Indians can deposit their currency notes of Rs 500 and Rs 1,000 in post offices and banks for the next 50 days, until December 30, 2016. After December 30, 2016, these notes will be demonetized with no monetary value. During his address on Tuesday, Modi announced some protections put in place to ensure that no one loses their money due to the unexpected move. Islamic hooligans vandalised and looted at least 15 Hindu temples along with hundreds of houses of the minority Hindu community as the latter celebrated Kali Puja and Diwali in Brahmanbaria’s Nasirnagar on the afternoon of October 30, 2016. The violence began around 1:30 p.m. in protest of a Facebook post that rumour has it was posted a few days ago by a Hindu fisherman named Rasraj. Around 150 to 200 people indulged in the attacks and vandalised at least seven to eight idols of five temples in that locality. In a little while, the attacks spread to Kashipara, Ghoshpara and Dashpara areas and several other places of the same district. While the Bangladesh government claims the existence of secular and peaceful conditions for the Hindus and other minorities, the Hindu-Buddhist-Christian-Tribal minorities in Bangladesh are in reality being treated viciously by the majority Muslim population. The Hindu minority, particularly, is facing a grim situation where it is facing persecution at the hands of radical Islamic groups having links with the fundamentalist Jamaat-e-Islami, Hefajat-e-Islam, Awami Ulema League, Hizbut Tahrir, Ahle Sunnat Wal Jamat etc. Without any doubt, Brahmanbaria is an illustrative example of this situation. In 1947, Hindus constituted nearly 30 per cent of the population of then East Pakistan and now Bangladesh. But an estimated 20 million Hindus were “missing” from Bangladesh by the year of 1991. Today, Hindus comprise less than 9 per cent of the 157 million population of the country — and this number will certainly diminish now after the Brahmanbaria rampage of 2016. When one examines the air arms of the islands of the Commonwealth Caribbean, Guyana and Suriname, it is evident that a yawning gap in defence preparedness is emerging in the form of an acute shortage of maritime reconnaissance and light transport aircraft (MR/LTA). As the regional inventory of such aircraft, which currently comprise an eclectic mix of ageing civil transports of dubious serviceability, rapidly decline in serviceability and utility, the need for replacements to meet the pressing requirements of the respective air arms is becoming acute. 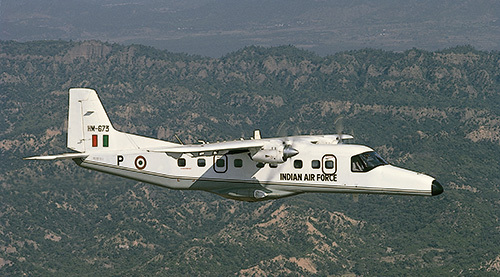 This emerging demand for aircraft that can fulfil the dual role of maritime reconnaissance and transport could present an opportunity for Indian equipment such as the Dornier Do-228 to make its debut in the region. The geographical location of the Caribbean means that its primary security challenges are either directly or indirectly linked to maritime issues – be it the smuggling of illegal narcotics and weapons, human trafficking, illegal fishing or protection of natural resources and mineral deposits. Even mainland countries like Guyana and Suriname face a significant challenge in their respective maritime domains. Furthermore, light transport aircraft have proven to be an important asset, with Guyana and Suriname making extensive use of their few serviceable aircraft to augment poor rail and road communications in their hinterlands. The ability to move troops and relief supplies has also been very useful at times of natural disasters, with Jamaican, Guyanese and Trinidadian aircraft being heavily committed to that task during hurricane season when smaller islands require assistance from their larger neighbours. Asia’s evolving geopolitics places a high premium on Indian imperatives to enhance strategic bonds to a higher plane during Prime Minister Modi’s visit to Japan on November 11-12, 2016 for the Annual Summit Dialogue. In the Asian geopolitical and security environment the historical moment has come which dictates that both Japan and India as contending Powers with China jointly enhance their Special Global and Strategic Partnership so that Asian peace and stability under assault by China’s military rise, is safeguarded. History has placed at this momentous moment two dynamic Prime Ministers in both Japan and India who can drive this process, namely Japanese Prime Minister Abe and Indian Prime Minister Modi. Both together can craft a game-changer in Asian security and stability. Indian diplomacy should stop pretending that all is well between India and China. In November 2016 the strategic picture obtaining indicates lucidly that China in the arrogance of its newfound overwhelming military power finds itself not only at strategic odds with both Japan and India, but is also engaged in military provocative actions on India’s borders with China Occupied Tibet and in the East China Sea against Japan. Japan and India are also being subjected by China to China-generated turbulence in their neighbourhoods through its nuclear weaponised proxy states of North Korea and Pakistan. While India has managed to project itself as a soft power, Pakistan is associated with militancy. Every year we seem to make a new "worst place in the world for..." list and as luck would have it, Pakistan is consistently in the top 10. This year alone, we’ve been named the second-worst country in the world for women; the 11th most unsafe country in the world; the fourth worst for journalists and third for overall worst reputation. Granted, the deciding markers and selection criteria for these rankings are often arbitrary and simplistic at best but they certainly accumulate to paint a picture of Pakistan and this picture is tinted to reflect the nation’s worst attributes. Whether or not we acknowledge it at the national policy level, image matters. Perhaps more than most things because a country’s image is its leverage and Pakistan is desperately lacking in leverage at present. Recent tensions with our neighbour India serve as a perfect example to illustrate this problem. While the Indian media has adopted the loosest possible definition of journalism in the past month covering the Uri incident and what followed – doing its utmost to push the two nuclear states deeper toward a clash – much of their success in garnering international support has been due to Pakistan’s deplorable reputation as South Asia’s perpetual problem child. The militancy tag, which follows Pakistan around the globe cannot and will not be shed by denying we have a problem. Or by failing to arrest known militants and penalising critics instead. There are obviously varied policy measures that need to be pursued by different government and civilian bodies in this regard, but overall Pakistan needs to start focusing on a soft policy approach that at the very least, complements if not counters its standard chest thumping and foot stomping about military might to anyone who will listen. 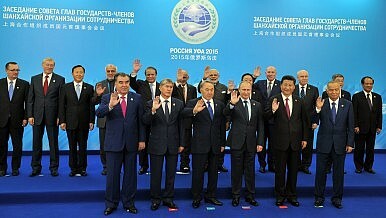 Will India and Pakistan Cripple the SCO? With the declaration of the 2016 Summit in Tashkent, Uzbekistan, the heads of the Shanghai Cooperation Organization member states put forward the formal admission of India and Pakistan as full members of the Organization in 2017. The basic principles regarding the expansion of the SCO were expounded at the 2014 Dushanbe Summit, while the decision to admit both countries as full members was taken at the 2015 summit in Ufa, Russia. This decision prompted great efforts within the SCO to expedite the start of the organization’s historic expansion. India’s and Pakistan’s signing of the memoranda of obligations on the occasion of this year’s summit finalized the technicalities of the process of the SCO’s expansion in 2017. Both India and Pakistan, which formerly were observers within the SCO framework, applied for full membership in order to play a more significant role in the ongoing regional development. However, the SCO initially focused on the completion of its vertical consolidation before starting to expand horizontally. In this regard, not all members were fully comfortable with the accession of new states — possibly worrying about new challenges that would come along with expansion. While China raised concerns about an Indian entry and insisted on admission “when conditions are ripe,” Russia and Kazakhstan were in favor of its accession, eyeing the benefits of the new organizational arrangement.Enjoying this article? Click here to subscribe for full access. Just $5 a month. On October 29, 2016, at least five Shia persons were killed and many injured in a gun and bomb attack outside a Majlis (a place of sitting) in Nazimabad area of Karachi, the provincial capital of Sindh, in Pakistan, where people had gathered for a religious meeting. The Lashkar-e-Jhangvi (LeJ) claimed responsibility for the attack. The Sunni supremacist and jihadist militant organisation, whose roots are in the heartland of Punjab province, has a history of carrying out sectarian attacks across Pakistan, particularly against the Shia Muslims. According to data compiled by the South Asia Terrorism Portal (SATP), a total of 2,575 Shias have been killed in Pakistan in 454 targeted attacks on Shias since 2001. The rise in the killings of Shias is a manifestation of perpetual anarchy that has gripped Pakistan, the ‘Land of the Pure’, with no hope of refuge for the targeted community. The Shias of Pakistan remain the worst hit. Extensive research carried out by Project Alpha, based at King’s College London, reveals critical new information about Pakistan’s nuclear weapons and missile programme, at a time when the country is aspiring to be a leading player in non-proliferation. Pakistan continues to develop its strategic industries and is seeking to join the Nuclear Suppliers Group; a group of responsible nuclear exporters who aim to contribute to the non-proliferation of nuclear weapons. The new report from Project Alpha reveals deceptive methods carried out by Pakistan to obtaining and servicing its strategic programmes, through a complex network of foreign suppliers, particularly China. China passed its first cybersecurity law on November 7, 2016, just a week after its third draft was proposed to the Standing Committee of the National People’s Congress, often referred to as China’s rubber-stamp parliament. What effects will China’s Cybersecurity Law have on the industry and domestic Internet companies in particular?Enjoying this article? Click here to subscribe for full access. Just $5 a month. The first and probably the most predictable effect is that Internet companies will be required to take on an even heavier role of monitoring, managing, and storing content on their platforms. As a consequence, small companies or startups might be forced out of business. Earlier this week the topmost Indian and Chinese officials at the level of the National Security Adviser met to review long-standing and unresolved issues – and the list is growing longer. The Hyderabad meeting was inconclusive – and predictably so. It was evident at the Goa BRICS summit hosted by India in October, when Prime Minister Narendra Modi and President Xi Jinping met, that Beijing was unlikely to accommodate Delhi’s expectation on the NSG membership and the terrorism issue related to Pakistan-based Masood Azhar and his proscription by the UN. Both issues are intertwined with the inflexible Sino-Pakistan strategic relationship. At the Third Plenum of the 18th Central Committee in November 2013, the Communist Party of China formally announced a series of major reforms to the People's Liberation Army (PLA). So far, those reforms have included a reduction of 300,000 personnel, a reorganization of the former seven Military Regions into five “theater commands,” and the restructuring of the former four General Departments into 15 smaller organizations that all report directly to the Central Military Commission (CMC). Official media coverage has also detailed an extensive anti-corruption campaign that has led to disciplinary action against dozens of high-ranking PLA officers, as well as plans for an end to fee-based services that had been run by PLA personnel as secondary sources of income. This newest round of reforms has been portrayed as a far-reaching process for both the PLA and Chinese society as a whole. It is expected to last until 2020, and will improve the military's efficiency, warfighting capability, and—most importantly, from the Party's perspective—its political loyalty. However, the reforms also challenge entrenched interests within the PLA, and could lead to reluctance within the military to adjust to new realities. Nevertheless, the reforms will likely succeed due both to recognition within the PLA of continued weakness in operational capabilities and to the senior Party leadership's ability to co-opt support from various groups within the institution. The main goals of the reforms are to guide the PLA toward the “correct political direction” of Communist Party control and to improve the PLA's ability to fight and win wars. On January 1, 2016, the CMC released a document explaining the rationale for undertaking the reforms as well as the priority areas for reforming the PLA. According to the “Opinion on Deepening the Reform of National Defense and the Armed Forces,” the reforms are necessary both for the PLA and for China as a whole. In addition to being the only path forward to transform the military into a modern fighting force, they are also one component of policies designed to help China reach broader national-level goals, which official policy statements have detailed as becoming a “moderately prosperous society” by 2021 and becoming a “modern socialist country” by 2049. The pattern of terror attacks in the Indonesian cities of Solo and Tangerang in Java and Medan in Sumatra has led to wrong initial judgements of the Indonesian police (POLRI) that those attacks reflect lone wolf terrorism. The three attacks show a similar pattern in which they were conducted by individuals. Yet, POLRI later discovered that the attackers might be affiliated with terrorist networks. The relevant government agencies in counterterrorism must fully understand what is lone wolf terrorism to further identify the threat and take appropriate counterterrorism measures. Besides the Sarinah Attack in Jakarta in January 2016, there was a rising trend of individual terror attacks in Indonesia. In July, a lone suicide bomber, Nur Rohman, attempted to attack a police headquarters in Solo but ended up killing himself and injured one police officer. Later in August, an 18-year-old boy, Ivan Armadi Hasugian, who is believed to be obsessed with ISIS, failed to detonate a bomb and attacked the priest in a church in Medan instead. Recently in Tangerang, a machete-wielding man attacked police officers at a busy intersection and tried to set off a bomb. He was fatally shot by the police. Recently, Anjem Choudhary, 49, and Mizanur Rahman, 33, were imprisoned for their active support of the Islamic State. Choudhary’s imprisonment ends, for a small period at least, his decade plus history of agitation in the UK. Whilst the British press lapped up his colourful and extreme pronouncements, his influence amongst the majority of UK Muslims was minimal. At best he is seen by most British Muslims as a rabble-rouser and a demagogue. However, Choudhary’s influence outside of the UK has been greatly underestimated. The East London solicitor was considered a Mufti by some of his followers. He was seen as a man who spoke the Truth to power like a modern day Moses to the secular Pharaoh. He is the founding father of Shariah4UK, an organisation which gave birth to other franchises like Shariah4Belgium whose members became linked to the attacks in Brussels. The judge, whilst sentencing, was fully aware of Choudhary’s influence and the impact he could have on the prison population. One prison staff member who wanted to remain anonymous told me most inmates are “poor, vulnerable and aggrieved” and ripe for radicalisation. He added that “if there is a confident personality he can turn them. I mean some of these guys actually believe in David Icke!” Thus charismatic prisoners who question authority, whether that be by Far-Right activists, Salafi-Jihadists, Irish Republicans or conspiracy theorists for that matter, can influence prisoners. And it seems plausible that the magic of Choudhary can have the same effect in prison. Choudhary himself has boasted that he will radicalise prison inmates. Europeans have every reason to remain wary of the terrorist group. Al-Qaeda has attempted to kill hundreds of Europeans in the last 15 years. Terror attacks connected — to varying degrees — to al-Qaeda led to the murder of almost 250 people in Madrid and London in 2004 and 2005. Twelve more died during the attack on Charlie Hebdomagazine’s offices in Paris in January 2015. Al-Qaeda also had a string of near misses: fertilizer bombs in London(2004), liquid bombs on transatlantic flights (2006), car bombs in London and Glasgow (2007), suicide attacks inManchester (2009), and a car bomb and suicide attack in Stockholm (2010). Yet this year, as Europe suffered through a record number of Islamist terror attacks, al-Qaeda has been conspicuously absent. Instead, it is ISIL that has directed, encouraged, or inspired the plots. So where is al-Qaeda? This answer lies in the events outside of Europe. The Air Force is seeking more interactions with private sector firms to build better networks for securing nuclear weapons computer systems, service officials said. Air Force engineers say protection of computer networks is well established in many ways, but that the service needs to widen its scope with greater focus on IT dimensions to its nuclear arsenal’s command and control apparatus. “Information technology that touches weapons systems needs to be cyber secure, updated and patched. Worldwide nuclear systems are one example of where we need to get an overhaul,” Peter Kim, Air Force Chief Information Security Officer, told Scout Warrior in an interview. The need to adjust nuclear arsenal computer systems was further emphasized in a recently announced U.S. Air Force Scientific Advisory Board Study on the topic that will be released in 2017. 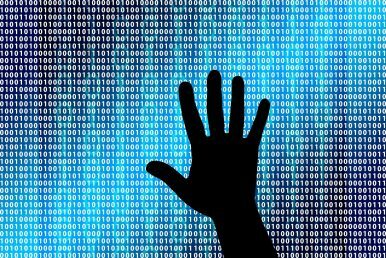 “Today’s dependences on cyber systems were not prevalent when legacy nuclear systems were fielded, nor were today’s cyber threats, including supply chain concerns,” the study’s outline states. Modernizing computer networks for the nuclear arsenal is part of the services’ current plan to build as many as 400 new Inter-Continental Ballistic Missiles, or ICBMs, to serve through the 2070s. The Air Force is now assessing industry proposals to build the new ICBMs, from Northrop Grumman, Boeing and Lockheed Martin. And they are not simply re-phrasings of one another. The closer you read the more you notice serious differences in philosophy and specificity. Philosophically, several emphasize scientific design, planning, and a product-based approach to strategy, while others describe a very different process of artful adaptation and dynamic adjustment. With respect to specificity, the split is between the definition’s narrowness—whether strategy is directly or exclusively related to combat and war—as opposed to a broader, general approach which typically alludes to more ambiguous concepts like “power.” Let’s look at some examples (all not cited below are from the aforementioned textbook). The suspense is over. On November 8, defying most predictions, Donald Trump was elected to be the 45th president of the United States. Regardless of their pre-election desires and preference, U.S. allies and partners in the Asia-Pacific region will be working with President Trump at least for the next four years. Before November 8, the concerns Asia-Pacific leaders had about the next U.S. administration revolved around to what extent the new president will adjust the Obama administration’s Asia-Pacific rebalance strategy. With the incoming Trump administration, Asia’s leaders are now faced with an entirely different set of questions — will the United States under Trump be even interested in remaining engaged in the Asia-Pacific region? Of course, there is a strong case to be made in support of continuing U.S. engagement in the Asia-Pacific region. The Trump administration will continue to face an Asia-Pacific region whose security environment is more uncertain with rising influence of China, an increasingly belligerent and unpredictable North Korea, and long-standing alliances and partnerships in Southeast Asia in flux due to the developments in the region. Given Beijing’s increasingly explicit attempt to challenge the United States’ leading position in the region, the case for sustaining, or even re-vitalizing, U.S. engagement in the Asia-Pacific region sounds like a no-brainer if President Trump wants the U.S. to keep playing a leadership role in this region.Enjoying this article? Click here to subscribe for full access. Just $5 a month. 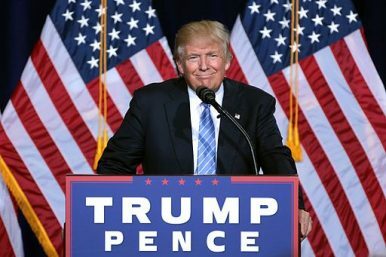 However, given what candidate Trump said about U.S. engagement in the world during the campaign, it is simply an unknown whether President Trump, once in the position to govern, will significantly alter his views, let alone his position. Certainly it stunned the political establishment. During the campaign, it was his adversary Hillary Clinton who came across as a relic of the old order. Her campaign was the political equivalent of the Hindenburg disaster. It was always difficult for Clinton to reinvent herself. Her husband Bill, after all, was an original New Democrat—a centrist who broke with the left-wing of the party. Along with other members of the Democratic Leadership Council such as Al Gore and Joseph Lieberman, he took a tough stand on foreign policy and social issues. That heritage was also ingrained in Hillary, though she tried to assuage the concerns of the followers of Bernie Sanders by tacking to the left on free trade. But somewhere along the way New Democrats became Old Democrats. The U.S. government likely retains an arsenal of just dozens of otherwise unknown computer vulnerabilities that can be used for spying or sabotage and adds fewer than 10 new vulnerabilities to that cache each year, according to a Columbia University analysis released today. The analysis gives some context to the government’s largely opaque decision-making about whether to disclose exploitable glitches it discovers in commercial and industrial computer systems or to use them for intelligence operations. Such previously unknown vulnerabilities have been at the root of numerous high-profile cyber operations, including the Stuxnet attack that seriously damaged Iranian nuclear reactors. It comes as a group called the Shadow Brokers is releasing a trove of leaked National Security Agency hacking tools that includes a handful of the nonpublic vulnerabilities known as zero days—because they’re not known to the manufacturer, which has had zero days to offer a patch. Titled “The U.S. Government and Zero-Day Vulnerabilities,” the report is based on six months of research by Jason Healey, senior research scholar at Columbia University’s School of International and Public Affairs, and a class of graduate students. Healey, who is a former director of infrastructure protection at the White House and has held numerous cyber defense positions in government and industry, previewed some of the report’s findings at the Black Hat cybersecurity conference in Las Vegas in August. Cut the U.S. military's size, but retain its technical edge. The United States could reduce Pentagon spending by over a trillion dollars in the next decade—spending $5.2 trillion rather than the currently planned $6.3 trillion— by adopting strategy of military restraint. That’s the bottom line of a study I produced along with several colleagues as part of “Developing Alternative Defense Strategies 2016,” an exercise organized by the Center for Strategic and Budgetary Assessments, where groups from five think tanks used CSBA’s “Strategic Choices” software to reimagine the U.S. military budget. The others all increased military spending. The teams from the Center for New American Security and the Center for Strategic and International Studies added a few percent—tens of billions a year for the decade. CSBA’s team added about ten percent, and the American Enterprise Institute’s twenty. Why was the Cato team such an outlier? Unlike the others, we reject the United States’ current grand strategy of primacy, or liberal hegemony. The others differ on spending details but agree that U.S. security requires global stability maintained everywhere by U.S. military activism, meaning alliances backed by garrisons and threats, naval patrols, and regular military interventions in unruly places. Our proposal, by contrast, follows from the grand strategy of restraint. That starts with restraining ourselves from the temptations that great power affords— making war less often and more deliberatively, deflating our definition of security so it is distinguishable from global dominance and ceasing to insist that we alone can boss humanity.